CIRUM is an organization focused on practical land rights for ethnic minority peoples of upland Vietnam. One of our programs that targets the allocation of formal land rights use certificates in the Forest Land Allocation Program (FLAP). 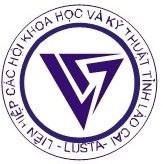 FLAP operates in various provinces of Vietnam and is supported by CIRUM and LandNet. The program aims at strengthening Ethnic Minority (EM) rights over forest and land areas. The processes of program implementation, and program results, is then used as practical evidence to advocate for EM land rights at the local and national levels. 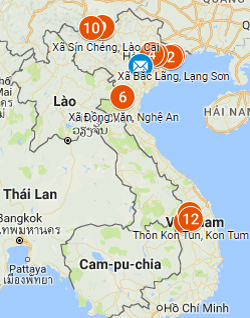 From 2005 to 2018, CIRUM supported FLAP implementation in provinces of Lang Son, Lao Cai, Nghe An and Kon Tum for communities of Tay, Nung, Dao, San Chi, San Diu, H'Mong, Thai, Xe Dang, Ro Ngao, Ja Rai ethnic minorities. This involved the successful allocation of over 11,202.69hectares of forest land back to communities and households. 2018-2020 CIRUM will conduct the program for Strengthening Capacities of LandNet for Advocacy Expansion. The long term program is aimed to secure and implement legal customary forest rights of ethnic minority communities, contribute to a policy that respects the rights of ethnic minorities and fosters sustainable forest based incomes for local livelihood sovereignty. We focus on two specific objectives 2018-2020. 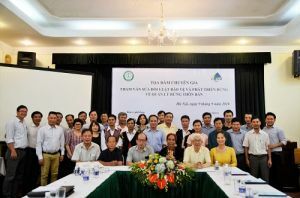 They are (1) Legal rights on community forest lands are secured based on the new forest law; (2) The operational structure of LandNet is reformed in order to strengthen its independence and efficiency. Indicators for objective 1 are: (1) All land titles of the overlapping areas in the target region are reallocated from the PFMB to the EMCs according to the new forestry law; (2) Sacred and water source forest areas are correctly categorized (special-use and protection forest) based on the new forestry law; (3) A government agency (MARD or Minitry of National Resources and Environment (MONRE)) confirms in writing to integrate the newly developed manual on implementing the law at grassroot level (based on the results of implementation processes) into further policy making. Indicators for objective 2 are: (1) LandNet incorporates a skilled Advocacy Coordination Group (ACG) based on common charter, stating roles and responsibilities; (2) An online Open Public Forum (OPF) is operated by LandNet based on a Code of Conduct, is connecting people concerned with ethnic minority and land rights issues.